“Problem Solvers” is a monthly feature in which PMPs share stories of some of their most difficult accounts — and how they conquered them. If you’re interested in sharing your story, please contact Senior Editor Will Nepper at wnepper@northcoastmedia.net. The author encourages PMPs to be creative, but fair, when dealing with challenges. Several years ago my company, Pest Express in Centennial, Colo., received a call asking us to perform monthly service in the room of a nursing home resident. The new potential customer was looking for cockroach service. I met with the resident, an elderly woman, and her son to inspect the room for the pests. The son explained that his mother was losing her vision and had a profound fear of cockroaches infiltrating the nursing home. These two factors combined to create a big problem: The woman was polite, but very clear when explaining that she wanted her room to be treated every month to prevent an infestation. The problem was, I found no cockroaches — or any other pests, for that matter. The son, who had used our service at his own home, asked if we could simply spray to make his mother happy and alleviate her somewhat-misguided fear. This was problematic because no pesticide label would allow treatment of a patient’s room without any authentic cause, just for fun. Furthermore, it would have felt dishonest. After some deliberation, we devised a plan to solve this unique problem. I informed the son that for $25 per month, we could come to his mother’s room to inspect and then treat with sound. Our technician visited the nursing home armed with the specific sprayer that the mother had wanted. While she watched, he pantomimed a baseboard treatment. It should be noted that, for my own peace of mind, I called our state Department of Agriculture inspector and explained the situation to make sure I wasn’t doing anything I shouldn’t be doing. When our technician had completed the service for the woman, he assisted her further by writing out the check for her before having her sign it. Everyone was happy. We’d calmed the fears of the mother, did right by her son by communicating openly and honestly, and gained a loyal customer who appreciated our perseverance and commitment to the situation. After drawing up the initial agreement, I called the son several times over the next couple of years to make sure everyone was still happy with the unconventional, but effective arrangement. We all were, and continued to be for some time. Unfortunately, our lovely and loyal customer has since passed away. But her son was always eager to express his appreciation and remind us that he was grateful we took the time to figure out a way to make his mother feel secure from bugs, without being condescending to her or cashing in on her unsubstantiated fear. The son told us he suspected there were probably other pest management companies that might have taken advantage of a delicate situation such as this. Whether that’s true, I can’t say for sure, but my technicians and I were able to take pride in our approach and solution. Overcoming this particular problem helped us set a precedent and create a template for how to handle similar situations down the road. 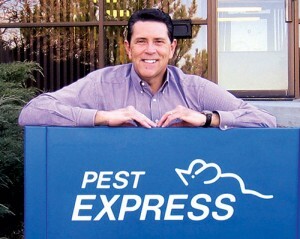 Richard Alexander is owner of Pest Express in Centennial, Colo. You can reach him at Richard@pestexpress.us. 2 Comments on "Why PMPs should ‘act’ in the customer’s best interest"
It warms my heart to see that someone is paying forward to the elderly, who so often get taken advantage of. A win win for everyone and a life long client with future recommended from them. GREAT JOB ! The end user would have been better served with insect mointiorted placed ( insect glue boards), delta dust applied behind switch plate covers, & personally I would have installed a nanny cam .